Palm Coast and Port Orange drivers who compare the 2016 Ford Escape to the 2016 Mitsubishi Outlander don’t take long to decide on the former. 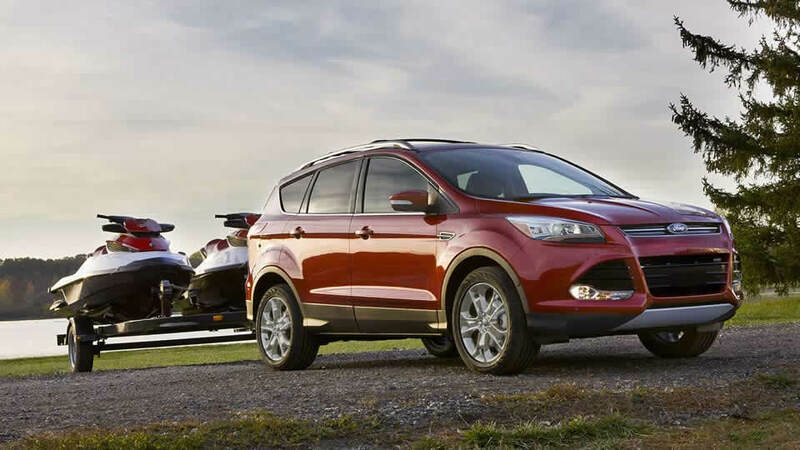 A crossover with plenty of power, cargo room, and technology is always going to rest at the top of its segment, and the 2016 Escape offers it all. 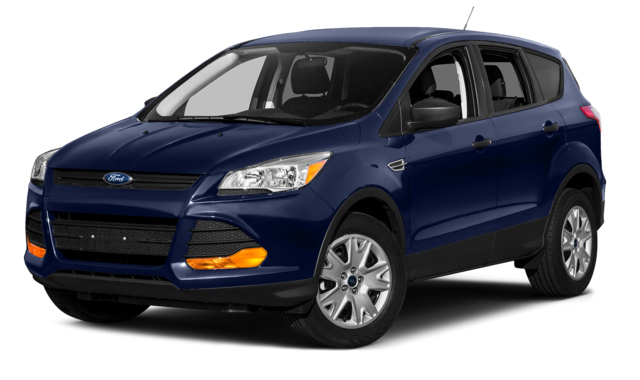 The 2016 Ford Escape is available in three trim levels, with a well-balanced array of features ensuring that Palm Coast and Port Orange drivers find exactly what they’re looking for. 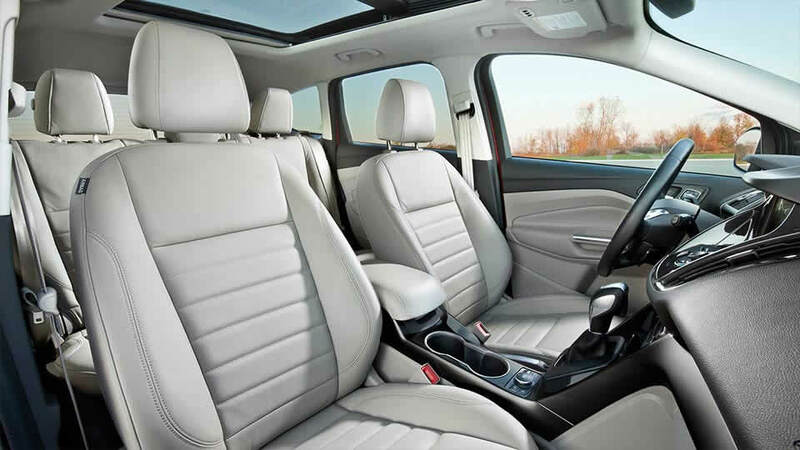 S: Starting at $22,960, comfort is provided with cloth-trimmed front bucket seats, your SYNC system keeps you connected on the go, and a rearview camera makes backing up easy. SE: Starting at $25,160, the SE upgrades the comfort and entertainment you’ll experience during each drive with a 10-way power driver’s seat and a complimentary subscription to SiriusXM satellite radio. Titanium: Starting at $29,245, the Titanium trim features dual-zone automatic temperature control, a cutting edge SYNC3 system, leather-trimmed and heated front bucket seats, and a 10-speaker audio system. 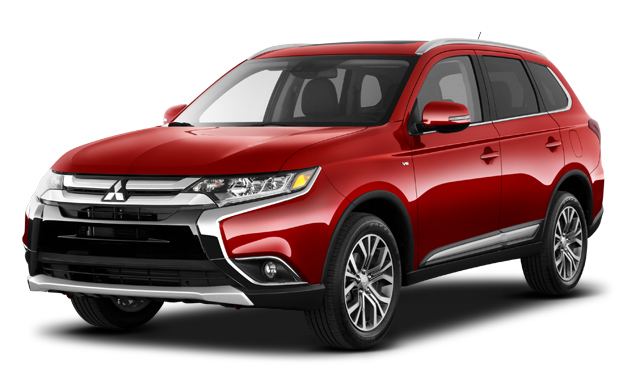 The 2016 Mitsubishi Outlander starts slightly pricier, with the ES model coming in at $22,995. Other trims include the SE and the SEL, while the premium GT S-AWC model will set you back at least $30,995 — $1,750 more than a top-of-the-line Escape. 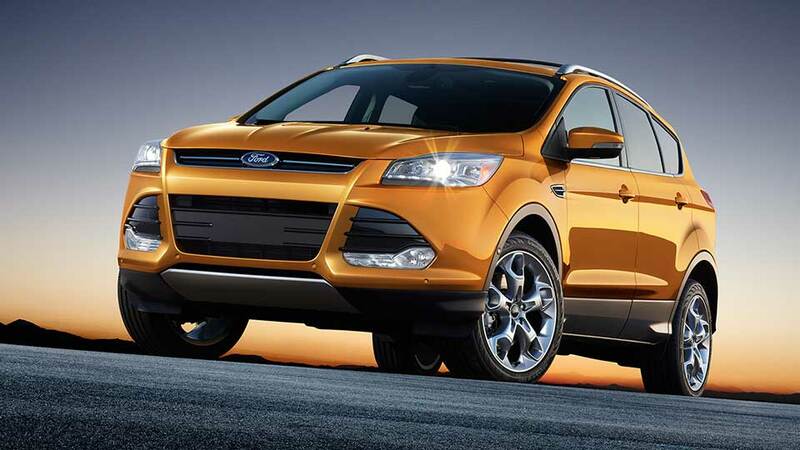 Standard Power: The Escape is fitted with a 2.5L i-VCT I-4 engine capable of producing 168 hp and 170 lb-ft of torque. The 2016 Mitsubishi’s 2.4L MIVEC 4-cylinder comes close to matching that — with 166 hp and 162 lb-ft of torque — but it still falls behind. 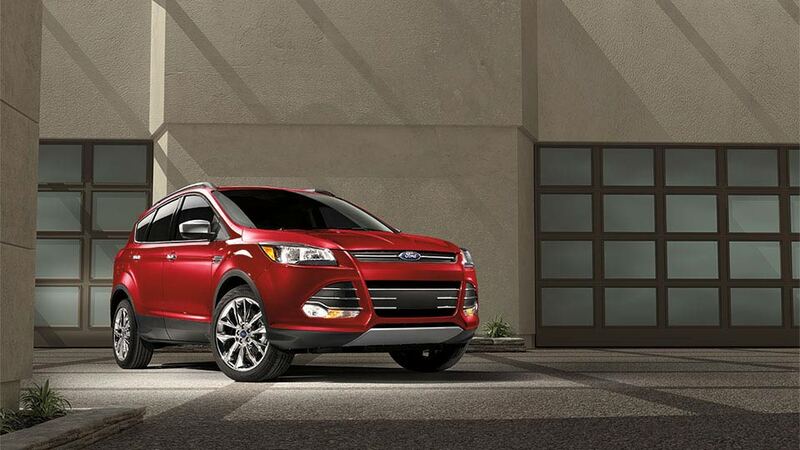 Available Power: The 2016 Escape is offered with two optional engines. Palm Coast and Port Orange drivers can select from either a 1.6L GTDI offering 178 hp and 184 lb-ft of torque or a 2.0L GTDI that harnesses a mighty 240 hp and 270 lb-ft of torque. The 2016 Outlander offers just one available engine – a 3.0L MIVEC V6 that produces 224 hp and 215 lb-ft of torque — far inferior to what the Escape can offer. Each Escape engine is fitted with an advanced 6-speed SelectShift automatic transmission for enhanced efficiency. This means that, despite the greater degree of standard power, you’ll enjoy the same maximum highway efficiency rating that you would in the 2016 Outlander: a generous 31 mpg. The 2016 Mitsubishi Outlander boasts slightly more passenger volume than the 2016 Ford Escape, but it also sacrifices cargo space in order to cater to a few extra passengers. In contrast, Ford understands that crossover drivers from Palm Coast and Port Orange require plenty of room for all their cargo, so they provide up to 15.5 cubic feet of dedicated storage space, even with all seats occupied, compared to the Outlander’s standard 10.3 cubic feet. Need more? 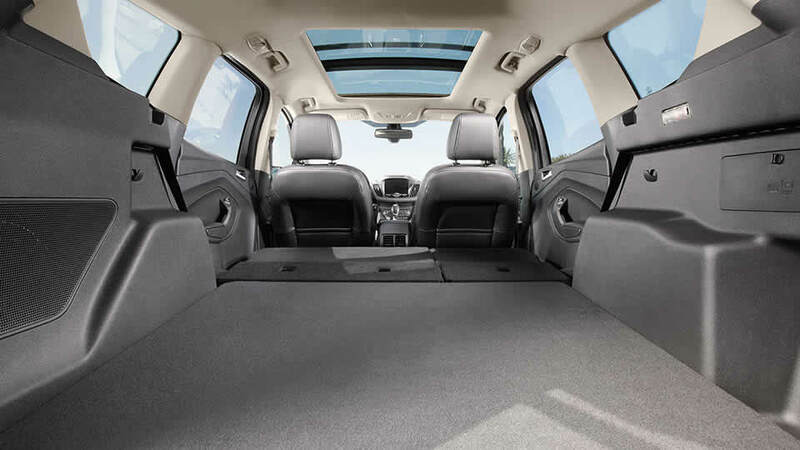 Just fold the rear seats down to find up to 67.8 cubic feet of cargo space in the Escape, far superior to the Outlander’s maximum of 63.3 cubic feet. The 2016 Ford Escape is one of the best-equipped crossovers in the segment, offering drivers numerous features that cannot be enjoyed by those driving a 2016 Mitsubishi Outlander. This starts with the standard equipment for each vehicle’s base model. For instance, unlike the 2016 Mitsubishi Outlander ES, the 2016 Ford Escape S is fitted with a rearview camera. 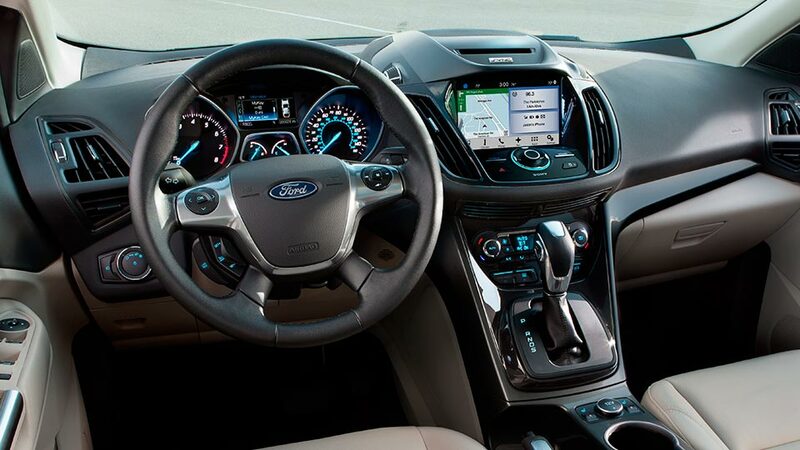 You’ll also be able to enjoy superior optional technology, too, with Ford’s exclusive SYNC3 system attracting particular praise. The color touchscreen displays your phone, audio and available navigation functions, and enhanced voice-recognition makes control simple when your eyes need to be on the road and your hands need to be on the wheel. Both the 2016 Ford Escape and the 2016 Mitsubishi Outlander provide a generous array of standard safety technologies, including anti-lock brakes, tire pressure monitoring, and several traction-control systems. Active Park Assist: Uses ultrasonic sensors to measure the size of parking spots, then helps guide you into them. BLIS (Blind Spot Information System) with Cross-Traffic Alert: Uses radar to identify vehicles in your blind spot, then alerts you with an indicator light in the appropriate mirror. The cross-traffic alert system detects vehicles approaching from behind as you pull out of a parking space or driveway. 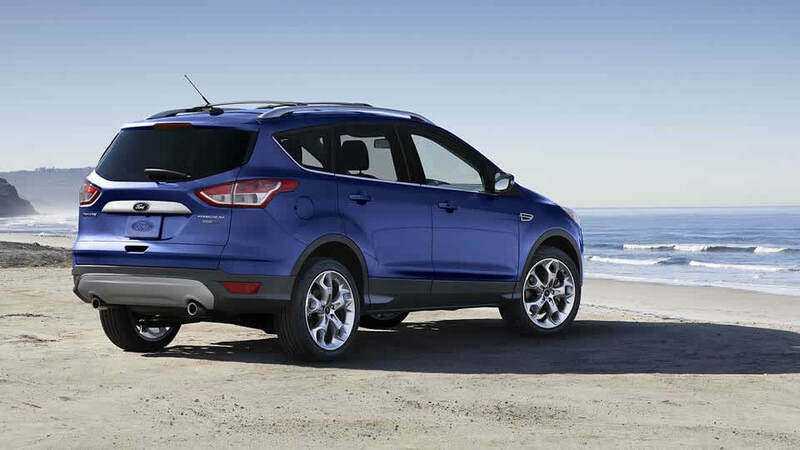 The 2016 Ford Escape is a crossover without equal. To test-drive yours near Palm Coast and Port Orange, just visit Gary Yeomans Ford in the Are man she towards.